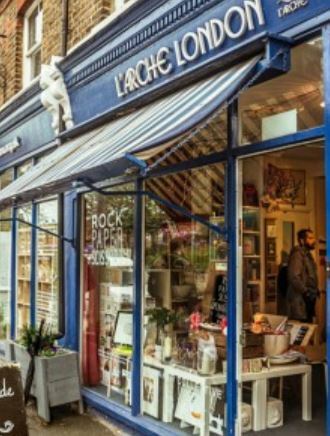 Rock Paper Scissors is a new pop-up space in West Norwood at L’Arche 9 Norwood High Street SE27 9JU to show case crafts made locally. From designer/makers, to photographers, to stationery and crafts -there are many beautiful handmade wares on offer from over 20 local makers including hand made cards and candles by the L’Arche community. With Christmas now only a few weeks away, the shop will be open from 10am-4pm Thursday-Sunday and is the perfect stop-off for unique and original handmade gifts. The pop-up is a collaborative partnership between Makerhood and West Norwood’s sustainable community project The Openworks hosted by L’Arche. Every Saturday 11am-1pm, this is a chance to sew, knit, tailor, upholster or craft at any ability at “The Stitch” workshop run by Tara at L’Arche – while having a gossip with fellow stitch fans!